revenue collection. In this regard, the organization has been checking up on businesses and if they are up to date with the payment of their taxes. 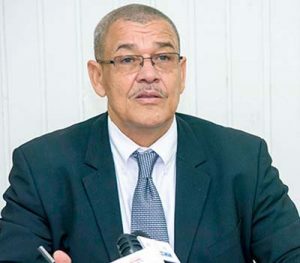 According to the GRA Commissioner General, Godfrey Statia, this move was made in acknowledgement of the fact that 80 percent of all revenues are centered on 200 large businesses. In order to capture the revenues from those businesses, Statia said GRA moved to establish a Large Taxpayer’s Unit. This division, he said, would look at those entities in their entirety. “And the reason why we are doing so is that in each of those files we would have checked that there are hundreds of millions of dollars that are uncollected in revenues. If we had reviewed them correctly, we would be in a position to collect them,” the Commissioner General expressed. He said that once the entity puts its emphasis on the large taxpayers and get that aspect out of the way, it can then begin to focus much more of its attention on the low level taxpayers. Statia said that the entity would also be in a better position to widen the tax base so that eventually, the tax rate could go down.